Orange España has unveiled a series of improvements to its TV offering. 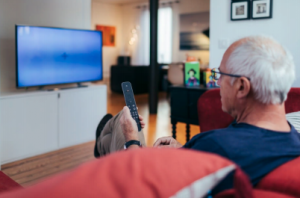 The Spanish operator is launching a new cloud DVR service enabling subscribers to record up to 350 hours of content for a duration of up to six months. Orange has also launched an improved app for smart TVs that it says is more intuitive and user-friendly, and is launching two new premium thematic packages. The cloud DVR service was launched this week. Orange said the service would complement its existing seven-day catch-up and startover services. The new service includes features such as series-record. All recorded content is available in a section of the guide labeled My Recordings. The service is free for all Orange TV customers and will initially be available via the set-top box, with integration in the Orange TV para Smart TV app and mobile apps to follow. Orange’s new smart TV app includes a new horizontal menu that groups channels and à la carte content by genre, such as movies, sports, series, factual, music and kids. Movies, series and other content is grouped together in the search function, while two new features – Estoy viendo and Mi Orange TV – enable viewers to quickly access content they have started viewing and lists of favourite content and channels respectively. The new app will be available for Samsung, LG and Sony smart TVs and for Android TV devices. From July 23, Orange will provide two new packages covering sports and music. Deportes Extra will offer Motorsport.tv, Fight Sports, Extreme Sports and Outdoor Channel, while Música Premium will comprise Stingray iConcerts, Stingray Classica, Mezzo Live HD, Stingray dJazz and Teatro Real, covering genres including classic music, opera, dance, ballet and jazz. Both packages will be available for €5 each to subscribers of the existing Orange TV Cine y Series and Orange TV Fútbol services. All content will be available via set-top, smart TV, smartphone, tablet and PC as well as video-on-demand. The launch of the cloud DVR service, app and new packages follows the recent launch of Orange Series, its new 4K channel offering content in 4K UHD.